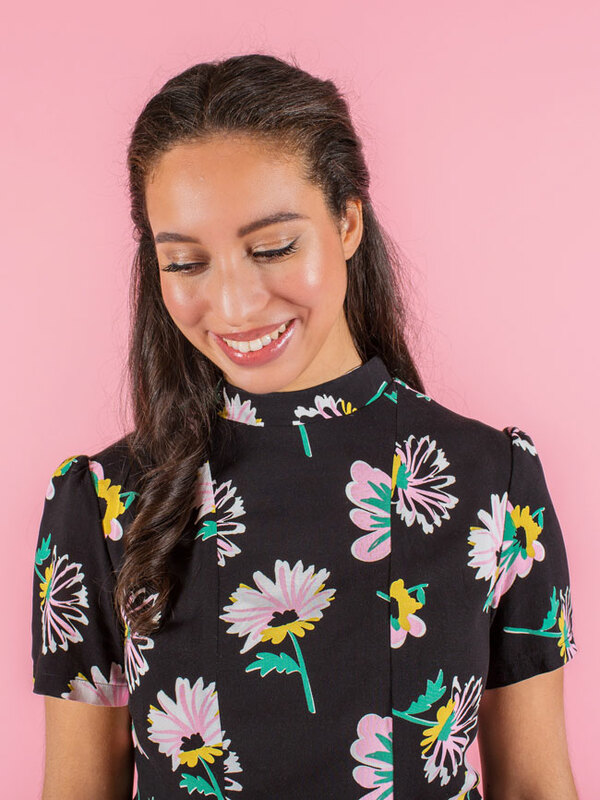 The second pattern we launched this year was the Martha dress, designed for more experienced stitchers. This is one of my favourite dresses of all time - I love the contemporary mock neck, flattering princess seams and swishy, bias-cut skirt. Our Summer pattern was Marigold, which you can make as either a jumpsuit or casual trousers. It's super comfortable, great for going to the park or lounging around the house. I've seen people dress up the jumpsuit for evening wear too, and it looks so glam! In September we launched Rosa, a stunning seventies-style shirt and shirt dress with princess seam shaping and a gorgeous V-shaped back yoke. Did you see we also gave away a free bonus pattern to make the sleeves full length with cuffs? 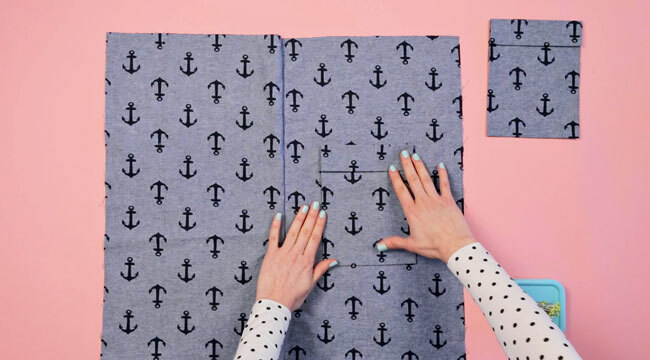 This is a great project to get stuck into if you want to take your time and learn some new techniques along the way, such as mock felled seams. And then in November we launched Cleo, which has become our new bestseller! 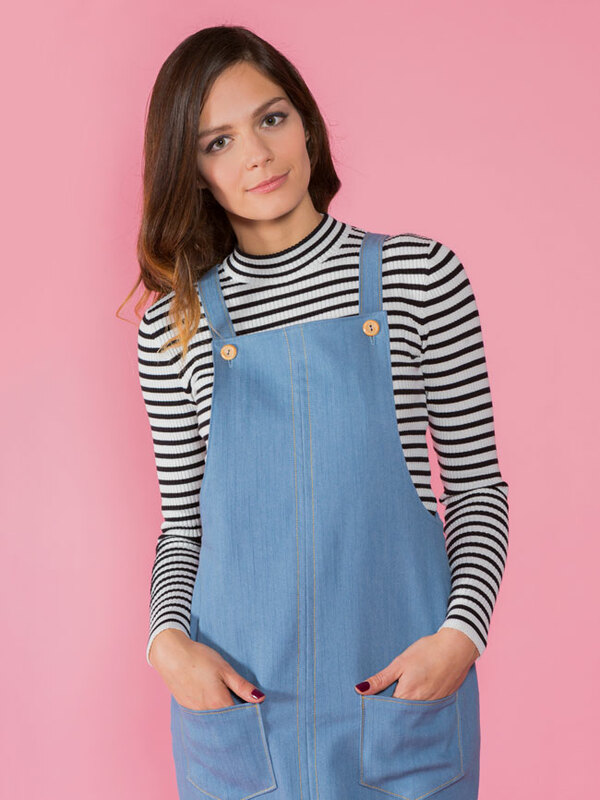 It's a super speedy, crazy comfortable pinafore or dungaree dress - and I'm so glad so many of you love it as much as I do! We also made a bunch of sewing kits, which include everything you need to make the dress. Keep your eyes peeled for more! 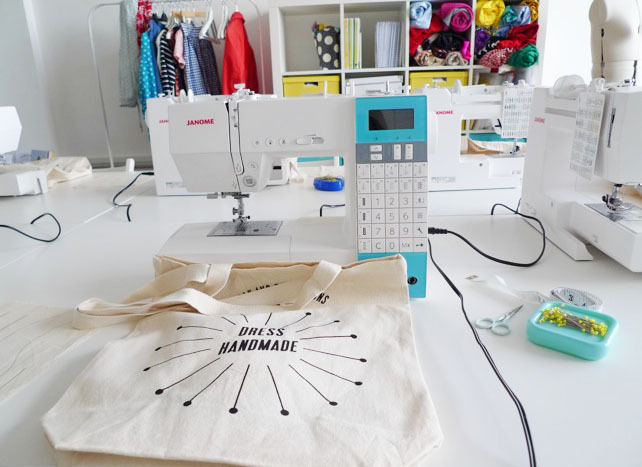 Lots of lovely people have enjoyed a sewing workshop at our London studio this year, from freestyle machine embroidery (omg it's so much fun!) 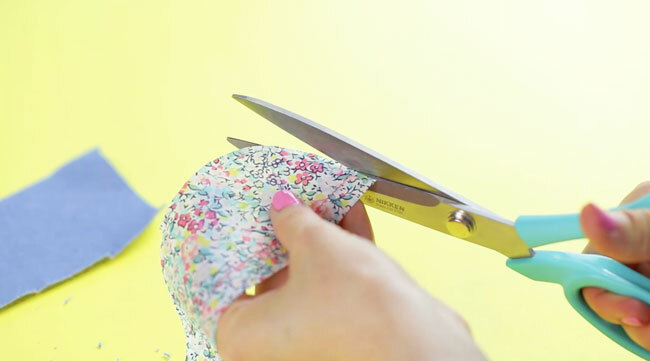 to making your own Coco dress in knit fabric. We've got some dates lined up for classes in early 2017, so do book yourself a place if you fancy it. 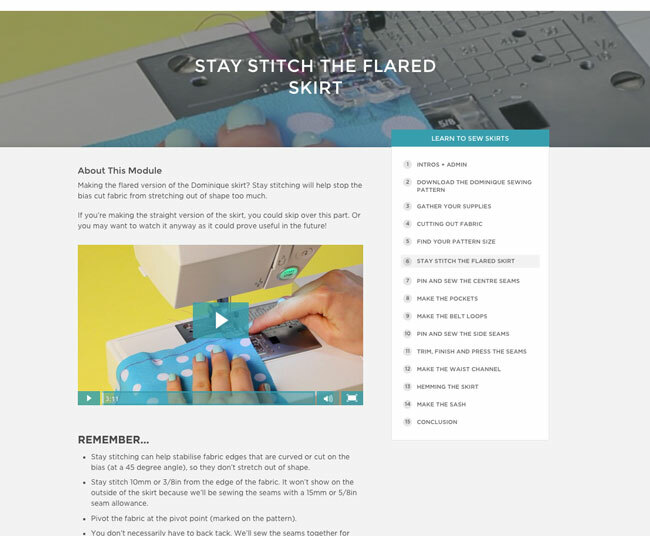 In 2016 we expanded our video workshops, following the popularity of Learn to Sew Jersey Tops in 2015 and answering your calls for us to teach more classes online. We put an incredible amount of time and energy (and money!!) 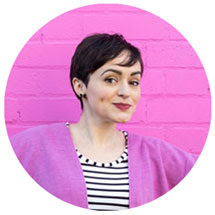 into producing the online workshops, which is why we only have four of them so far. You guys are loving them though - and so am I! - so we're definitely planning on building up the catalogue over time. 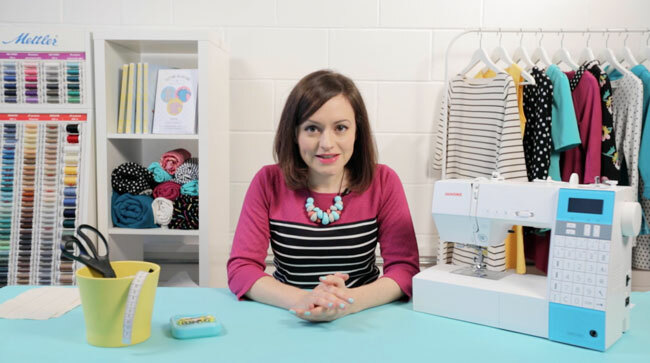 We started off 2016 by taking our popular beginner workshop online - Make Friends with a Sewing Machine! 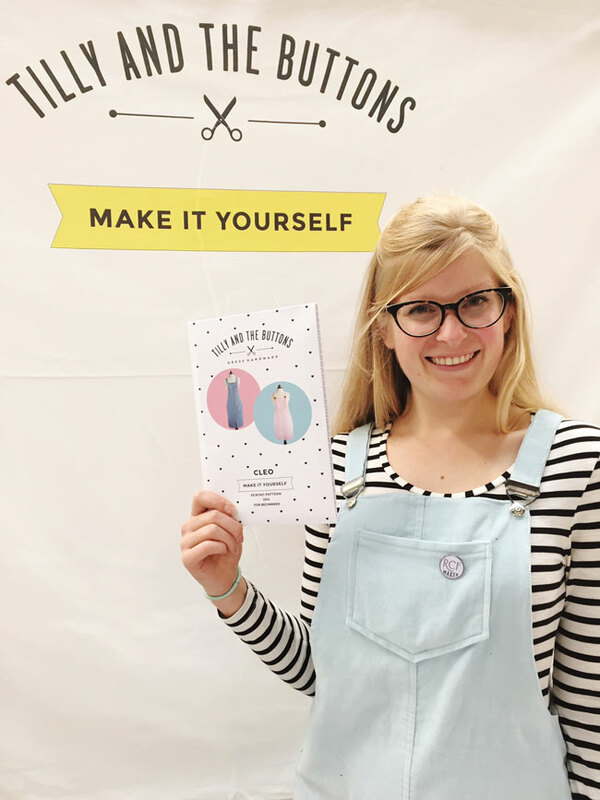 This is a great one for people you know who would like to learn to sew but need help getting started with their machine, or who have maybe made some things before but haven't quite got to grips with how to thread and work their machines, or need help troubleshooting common sewing machine issues. 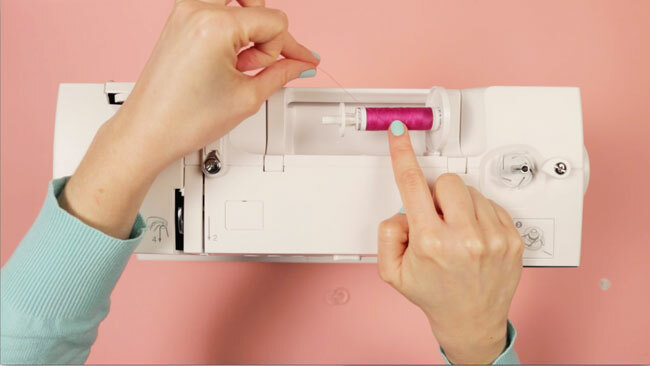 It's a really useful one to refer back to later if you want to check you're threading it right, or you're having a stitching problem, or you want to find out how to clean your machine to keep it in good condition. 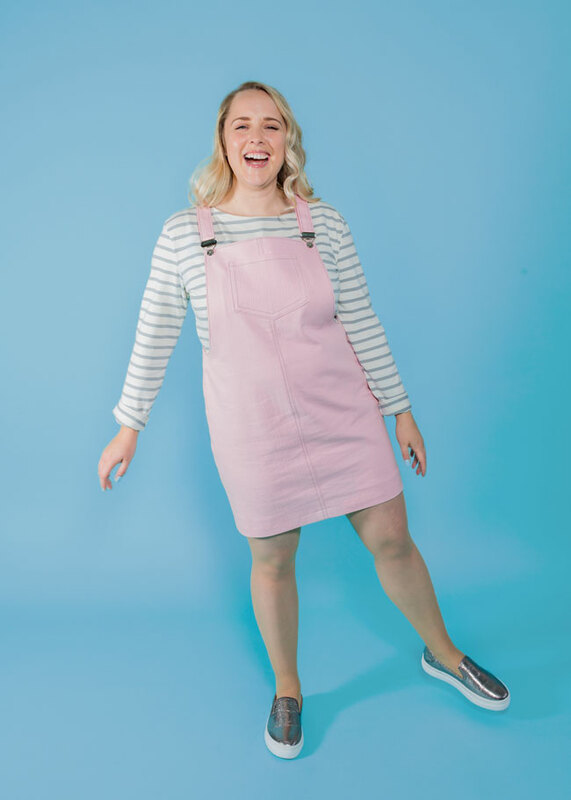 At the same time we released a follow-on course for those of you who want to get started making your own clothes - Learn to Sew Skirts with the easy-peasy Dominique skirt. 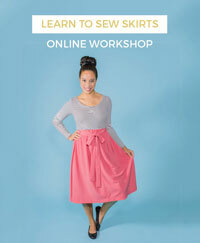 This class gets you started using sewing patterns, cutting fabric, and understanding basic garment construction. 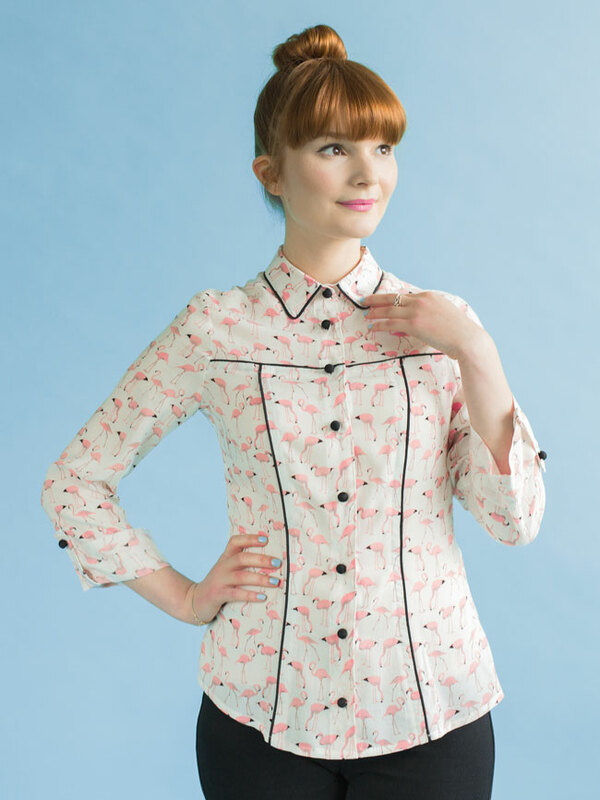 Then in the Autumn we launched another more advanced course - Sew Your Own Shirt or Shirt Dress. 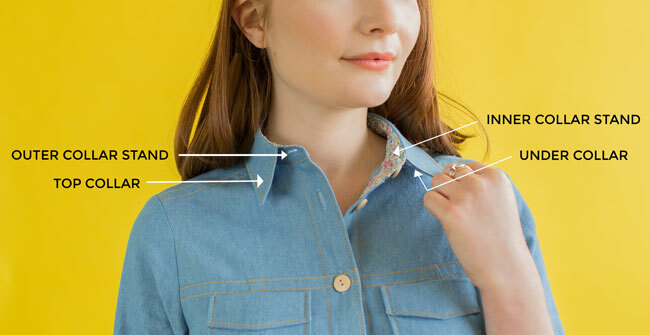 I loved putting this one together and sharing lots of tips and tricks for getting a neat-looking collar, tidy topstitching, making buttonholes and more. 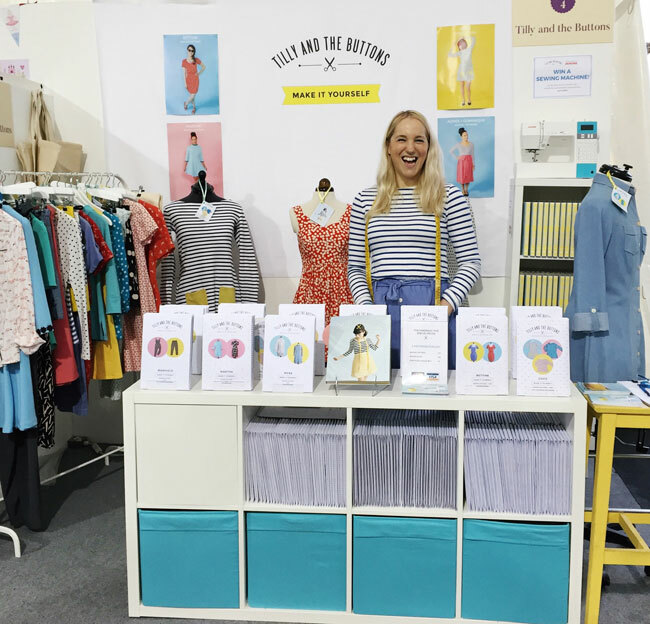 We exhibited at four shows in the last year - CHSI Stitches in Birmingham, which was our first trade show; Knitting and Stitching Show at London Olympia; the Handmade Fair at Hampton Court Palace; and the Renegade Craft Fair on Brick Lane. It's always great to talk to our customers, as well as introduce the patterns to new people. Although it's exhausting, we always leave these shows energised and bursting with ideas! Another exciting thing was that our patterns got stocked in John Lewis! If you're not in the UK, John Lewis is a much-loved chain of department stores, with a very famous haberdashery section. 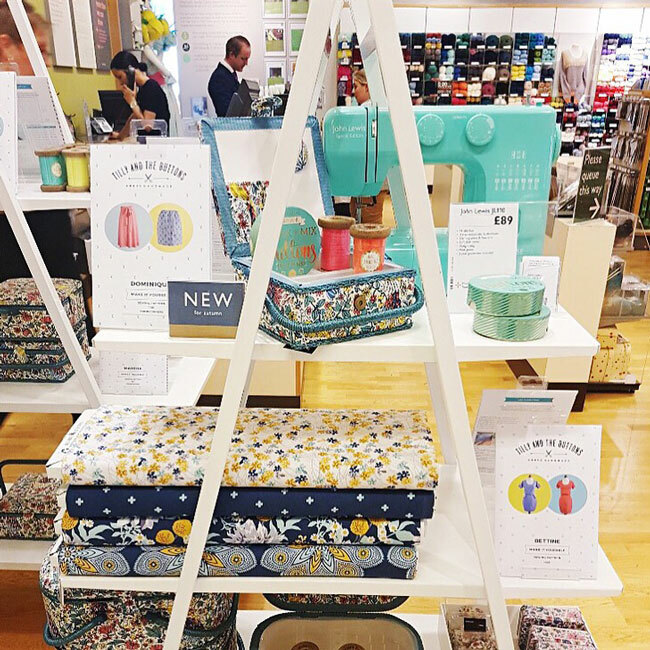 We're so grateful to our lovely readers and customers who got excited and took photos of our patterns in their local store - thank you so much! 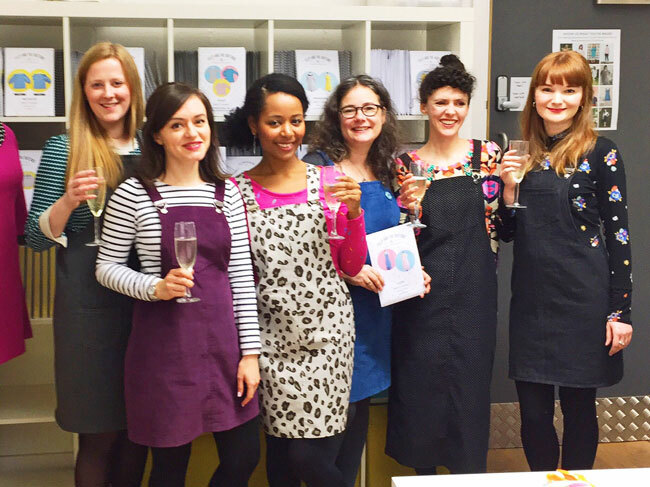 I hosted a Cleo sewing party after the dungaree dress pattern came out - a few blogger pals came to spend the day sewing, eating cheese and drinking prosecco at our studio, and lots of you joined in on Instagram. There was even a little Cleo sewing get-together up north in Gateshead! 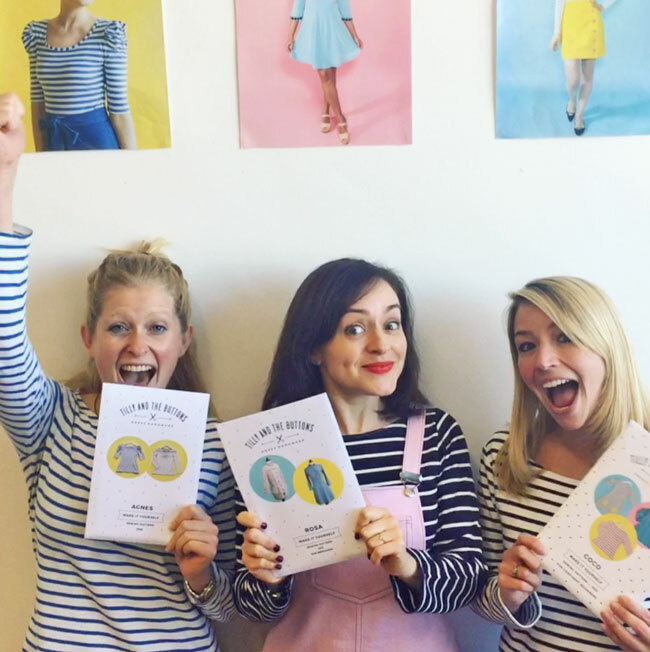 Last but not least, thanks to you guys, we won 'Favourite Sewing Personality' in the British Sewing Awards 2015! We've also been nominated in the 2016 awards which will be announced next year, including as the only indie brand up against the big two companies in the 'Best Pattern House' category. Keep your fingers crossed for us! Phew! I'm exhausted just typing this! Thanks so much for your support this year. 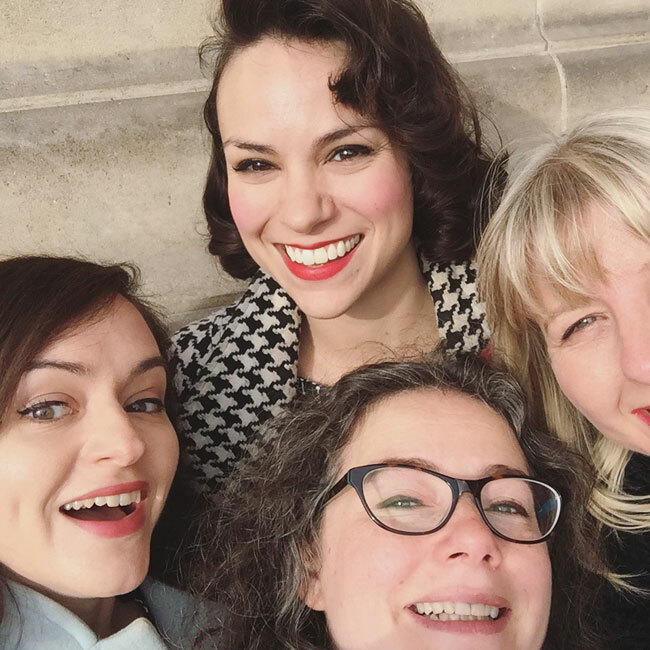 I'm always so grateful to work in such a lovely world where we get to make things, share things and encourage each other to be creative - and also happy that we have such lovely readers and customers. You guys are the best!